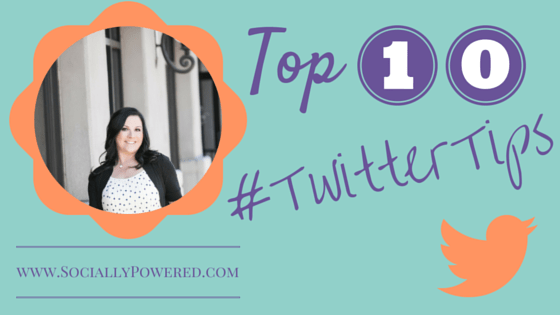 We decided to put together a Top 10 list of our favorite tips & tricks for Twitter. Twitter plays a vital role within the social media landscape. Most likely you already have a Twitter account. However, Twitter operates unlike any other social platform. The key to really making tweets work for you is to understand Twitter and use it to your advantage. In order to make headway on Twitter, most businesses are going to need to do more than merely show up. The best brands on Twitter have a game plan and a set of achievables for the year. Businesses must take the time to ask, ?What am I hoping to get out of this?? Make a list of achievements and then a set of goals to ensure the time invested in tweeting pays off. While it may be tempting to simply jump onto Twitter and start participating in and creating conversations. The best brands know an empty or neglected profile page must be developed and in-line with their marketing strategy first. This means taking time to pick the best profile picture, design a stellar custom image, and fill up the bio space with branded copy. Take the time to link to your other sites and incorporate any of your registered hashtags as well. Retweeting is sort of addicting and it?s easy. However, an account focusing solely on retweets and mentions for attention is missing engagement opportunities and potential. Twitter really shines when a conversation begins between users. If you haven?t participated in those yet, it?s time to get your feet wet. Jump in and really experience this platform. There are a lot of different types of content that work on Twitter. The best accounts understand a feed with only one type of content gets boring. Incorporate a variety of posts including images, mentions, retweets, thoughts, articles, videos and whatever else is relevant to your audience. It?s easy to get distracted by all the neat information on social media. The best guideline is to stick to your brand. Post content that fits well within your branded image and will be interesting to your target audience. Take the time to curate good content so followers keep coming back for more. Twitter really has its own lingo and features. Many of these are completely unique to the platform. Take time to understand the various definitions and functions of the site. Sometimes these features change. Last year Favorites were retitled to Likes. This year the company is considering expanding its 140 character limit. To be efficient, Twitter users need to be on the lookout forchanges. 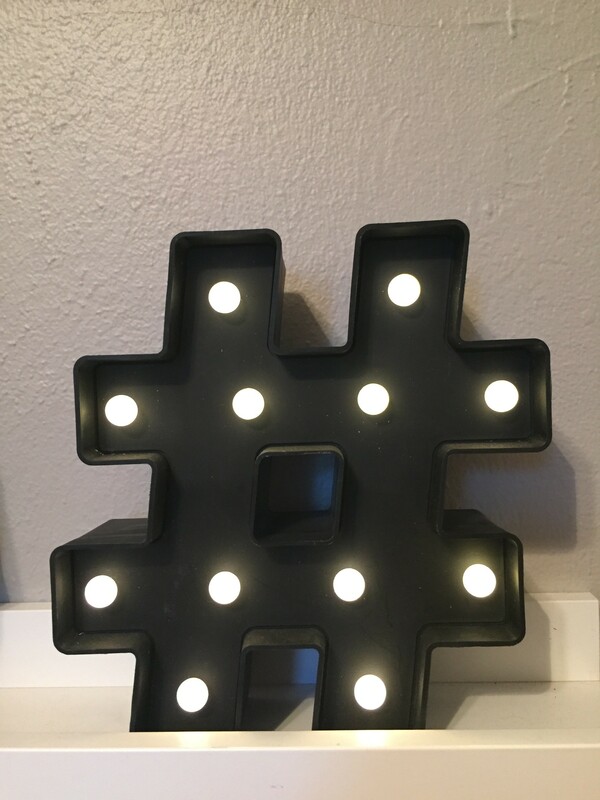 Registering your hashtags with a site like Twubs doesn?t mean nobody else can use it. However, it is a way to get added to an online directory and to associate your brand with tags to match your business. If you aren?t making your links shorter yet, it?s time to start. Using a site like bit.ly will take a URL and make it shorter ? saving valuable character space in your tweets. This valuable text real estate can be used for branding, promotion or sharing vital information. Take the time to organization your many connections into specific lists based on their location, industry, niche or specialty. This will make it easier to search your followers for pertinent information as needed. It will also help your discover the right conversations at the right time. 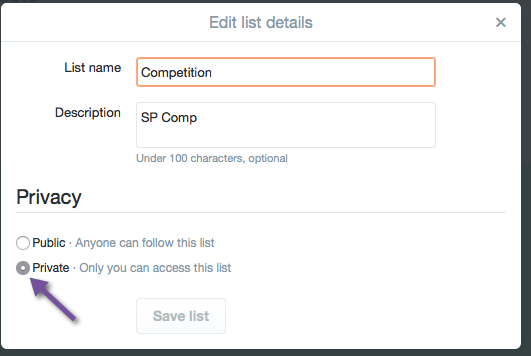 On Twitter you can keep a list of your competitors to see what they are doing ? just remember to check the “private” button. Do you have other tips & tricks? We'd love to hear what works best for you on Twitter.